Wufoo really is firing on all cylinders lately! As you may know, I’ve been using Wufoo here on this site, and pretty much every other site I’ve ever made, to power the web forms for over a decade. That’s a dang long time, which more than proves to me Wufoo is a form solution to trust. But also a product that improves! 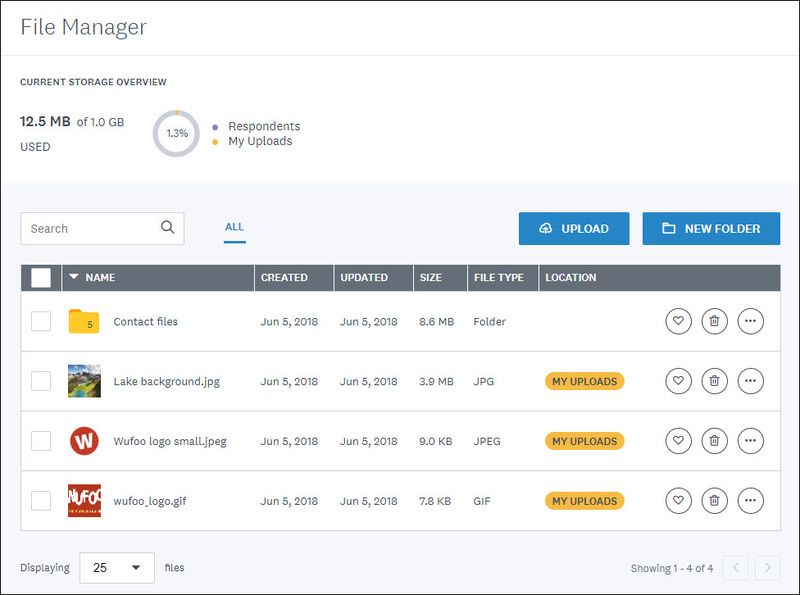 There is a new Form Manager, Entry Manager, and File Manager. The Files Manager is a brand new thing! 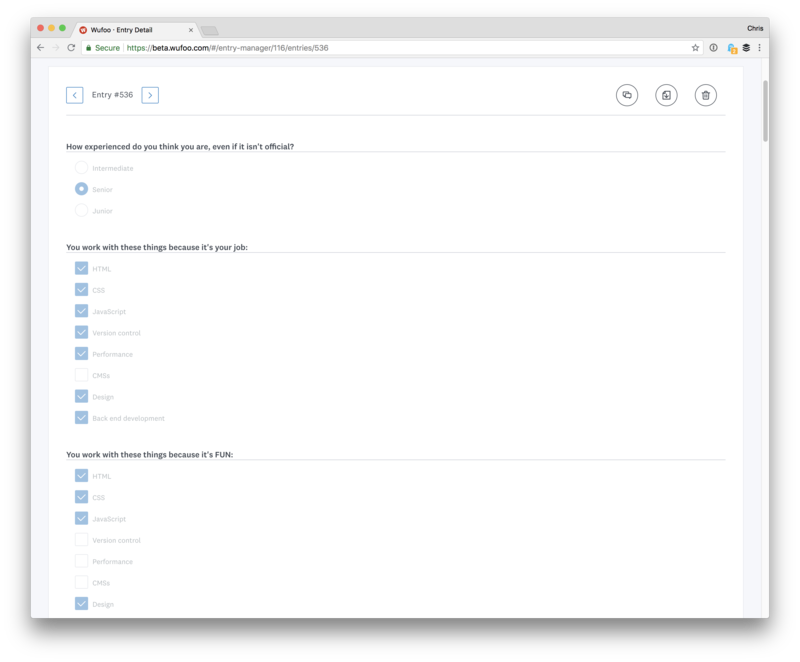 Wufoo forms can collect files easily, so if that’s a thing you use, it might be mighty handy for you to be able to browse and manage those from the manager. 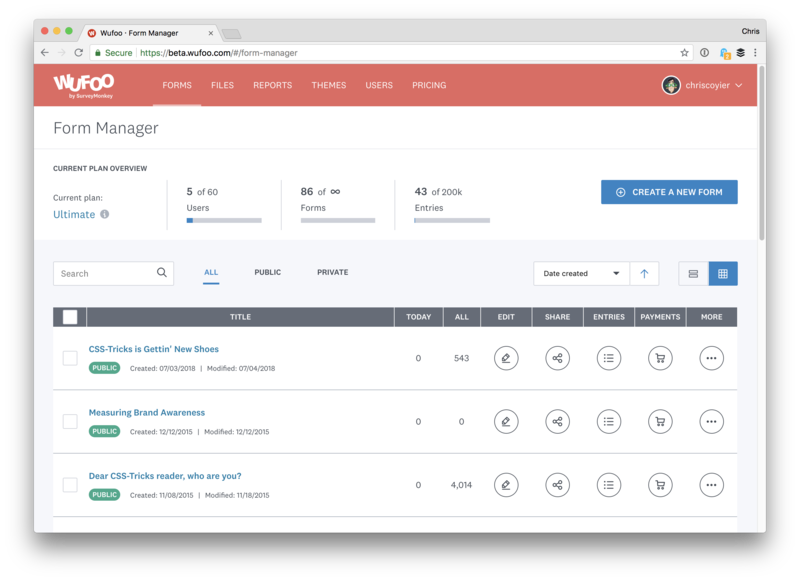 Those are great improvements for you for getting around and doing stuff within Wufoo, but of course, the most important thing is that you can build powerful forms very easily on Wufoo and integrate them anywhere you need to.